The BBC has partnered with the Active Transportation Alliance to support road cycling advocacy throughout the Northwestern Suburbs of Chicago. 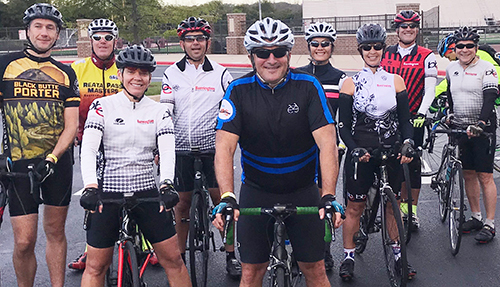 The BBC has an active program to liaise with the various local governments and civic organizations in the Barrington area, as well as other cycling organizations that regularly conduct rides through the Barrington area. The BBC is committed to serve as a resource to local law makers on cycling issues and to educate the motoring public and cyclists on safe and courteous sharing of multi-purpose roads. The BBC has “adopted” a stretch of Cuba Road, as a part of which the BBC conducts a twice-yearly clean up of Cuba Road, which is a major route for local and regional cyclists.